"And I have great faith in Bob Mueller, but I just can't tell from the letter why didn't he decide these questions when the entire rationale for a special counsel is to make sure the politicals aren't making the key charging decisions," the former FBI chief said. 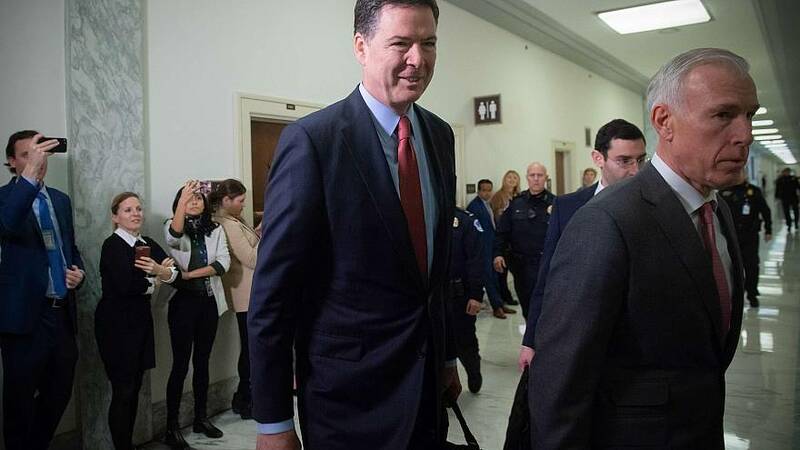 Comey, who oversaw the beginning of the Russia probe before he was fired by Trump in May 2017, said he has not seen the Mueller report. "The notion that obstruction cases are somehow undermined by the absence of proof of an underlying crime, that is not my experience in 40 years of doing this nor is it the Department of Justice's tradition. Obstruction crimes matter without regard to what you prove about the underlying crime," Comey said. In a four-page letter on Sunday summarizing Mueller's findings, the attorney general said since Mueller found no evidence that Trump or anyone in his orbit coordinated with Russians, their intent could not be established. Barr wrote that "to obtain and sustain an obstruction conviction, the government would need to prove beyond a reasonable doubt that a person, acting with corrupt intent, engaged in obstructive conduct." Comey told the audience that he hoped the public knew he was "not hoping for a particular result" of the Mueller probe. "The good part is that the special counsel was allowed to finish his work and reached a conclusion; that's very, very important to this country," Comey said. "The Russians really did massively interfere with the 2016 election with the goal of damaging one candidate and helping the other. That was not a hoax. That was a real thing." Comey also pushed for transparency in the Mueller probe, saying he hoped that as much of it as possible would be made public. On Tuesday, a Justice Department official said Barr would release details of the probe that could be viewed by the public in "weeks not months."